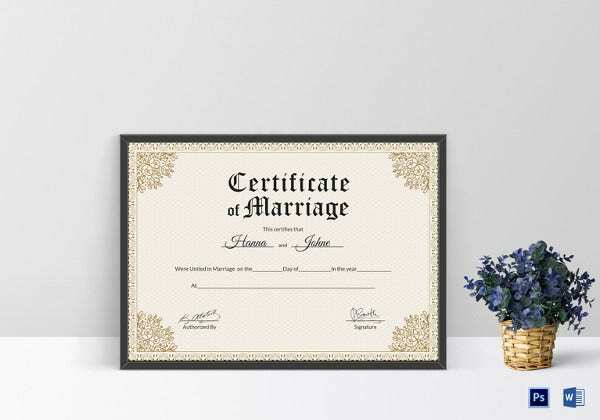 All marriage have their certificates to serve as the proof of their unification may it be done in church or in municipal hall where it is provided by any of the two places where the marriage takes place. By having the Wedding Flyer Templates available in Microsoft word, excel or pdf file that will be easier to download or print anytime. You may also see Certificate Samples. 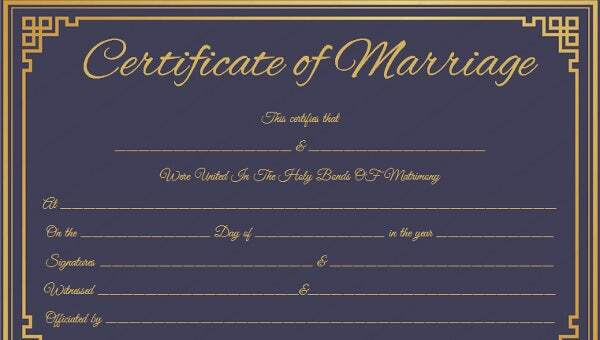 It will be practical to have this template where you will just type the names and details of the wedding. 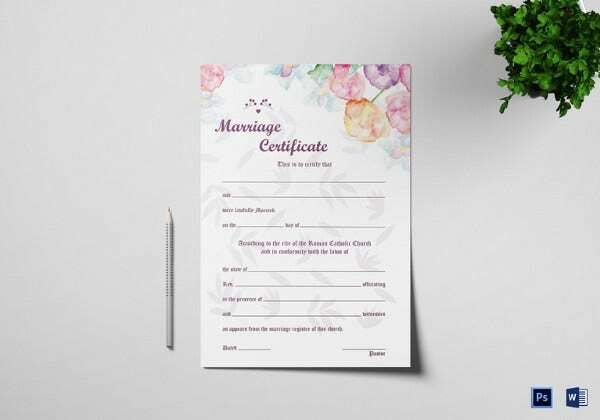 You can choose any themes or designs you want to put in the Wedding Templates where it will look formal and official when presented to the couple. Marriage is a great union of two souls and must be documented correctly. This is important in terms of future for the relation. This is legal and will also come handy in the case of any eventuality, whenever the proof of the union is to be presented. 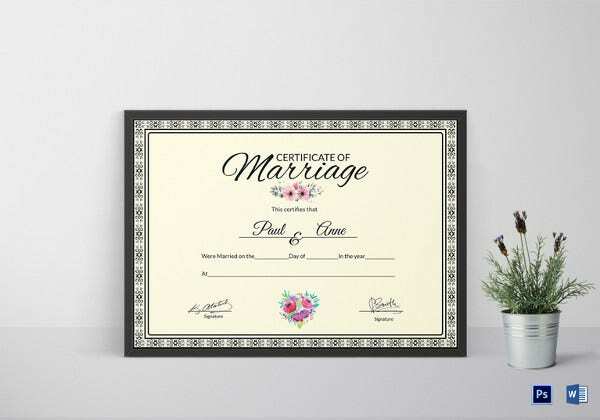 The wedding certificate templates do just that. They are just a formal proof of this union. 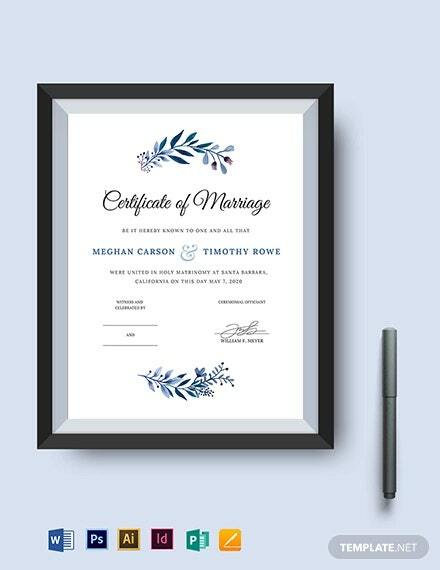 As they are available in nice designs and themes, the formal document takes a new dimension. 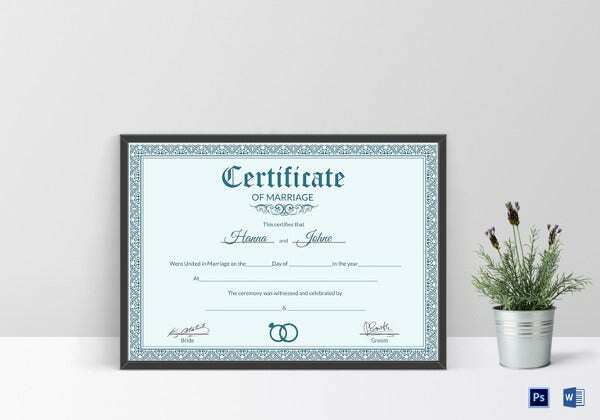 Any marriage document should be creative with a clear voice given to the legal terms. These templates are highly useful and fits the bill rightly for such purposes. 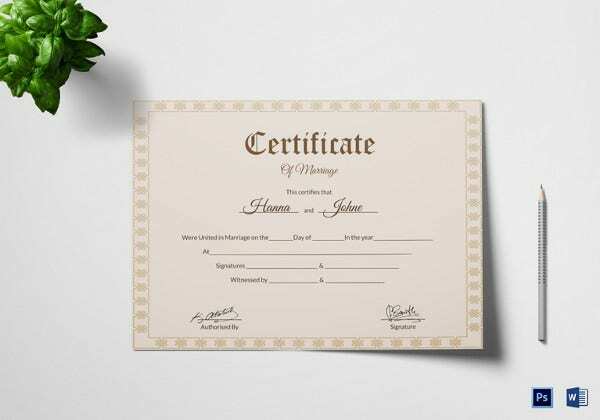 > Who can use Wedding Certificate Templates? 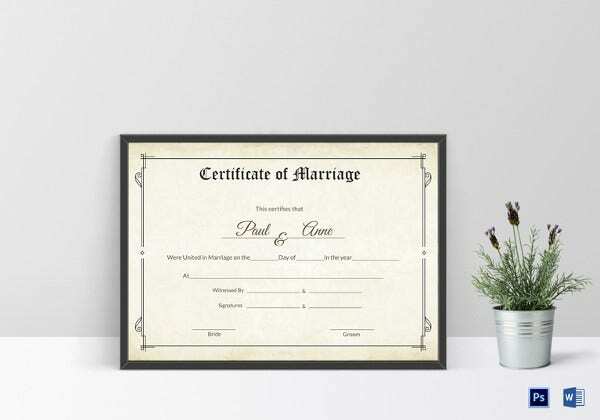 Couples who take pleasure in documenting their legal union distinctly can use the wedding certificate templates. 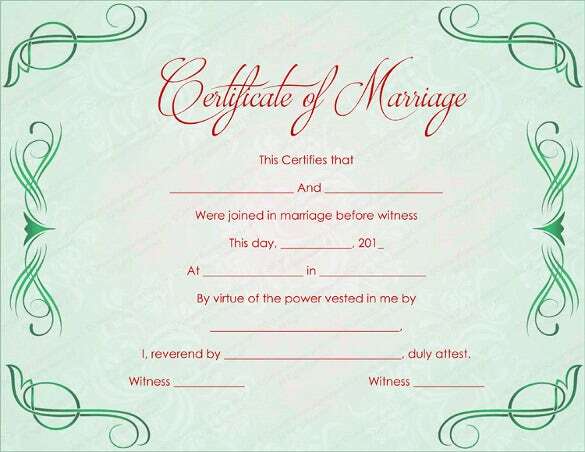 There are many couples who preserve each of their marriage documents or even the invitation letter nicely. It is just for them. 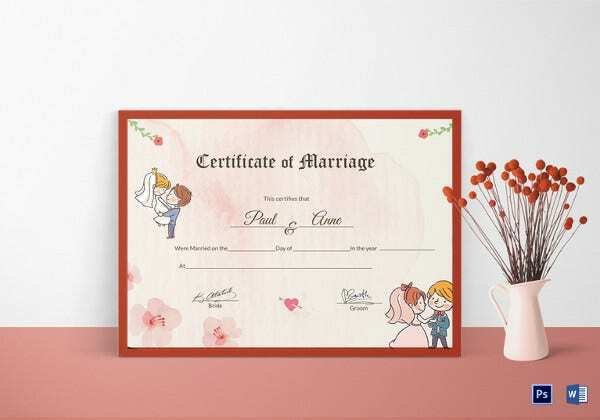 Years later when they go through these wedding certificate, it is bound to give them a special feel walking down the memory lane. 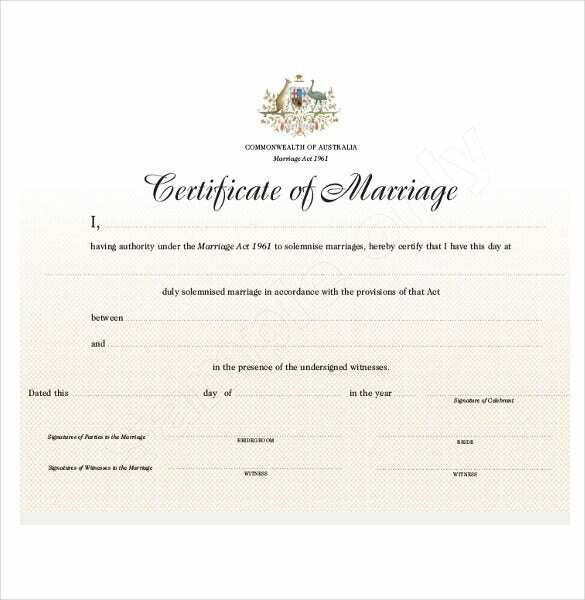 Marriage registrars too, can make use of these templates and provide their clients with a wide range of options to draft their certificate. Nonetheless it is going to give a special boost to the career with optimum client satisfaction. 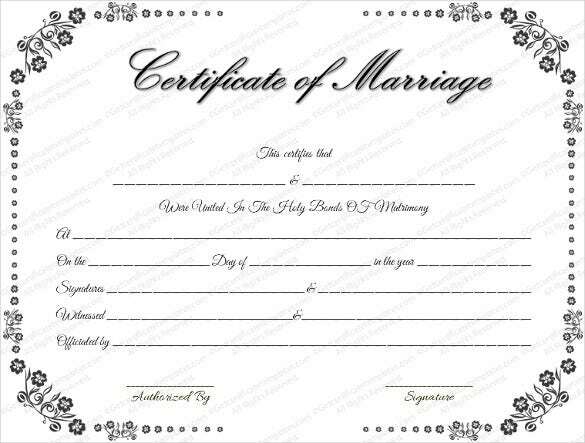 Legally one needs to register his marriage before law. 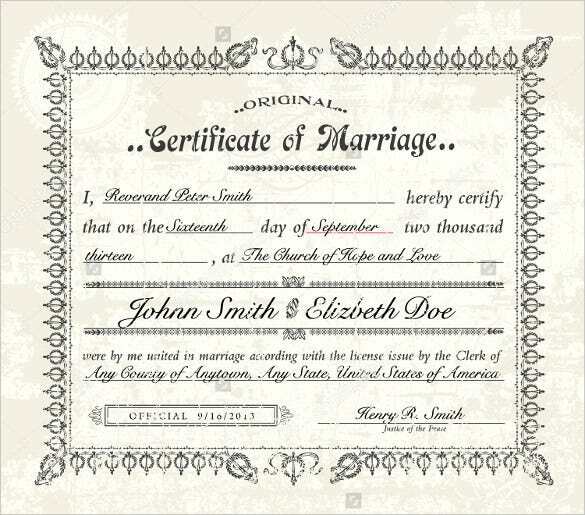 Generally such registry papers have a stern formal outlook and looks very ordinary, prepared only to suit the purpose. 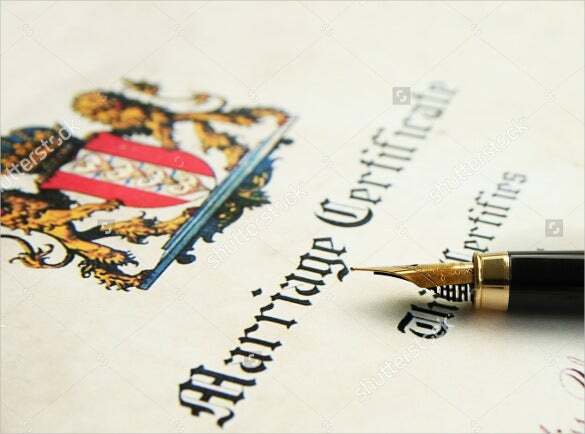 But, a marriage is a happy occasion and since it is celebrated with grand receptions, it is always a good idea to register the marriage distinctly. 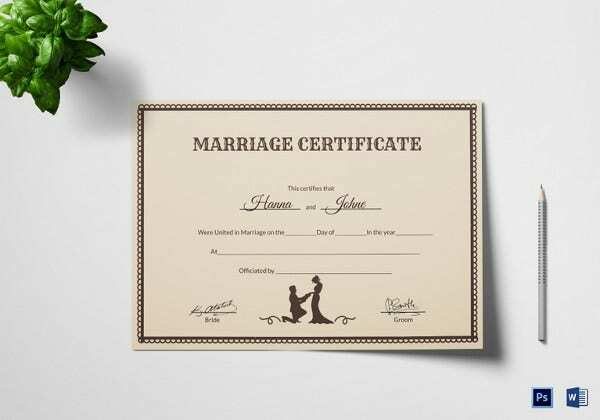 These templates benefit the couples in a way that they register the fantastic moment on a nice looking paper that is preserved for life. 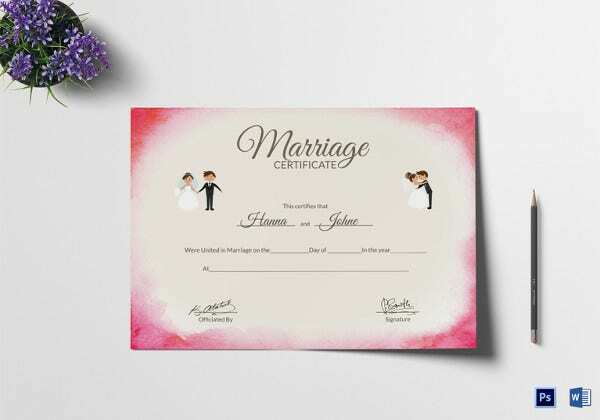 The nice themes, decorative backgrounds, colorful appearance makes the formal registry paper catchy and distinct. 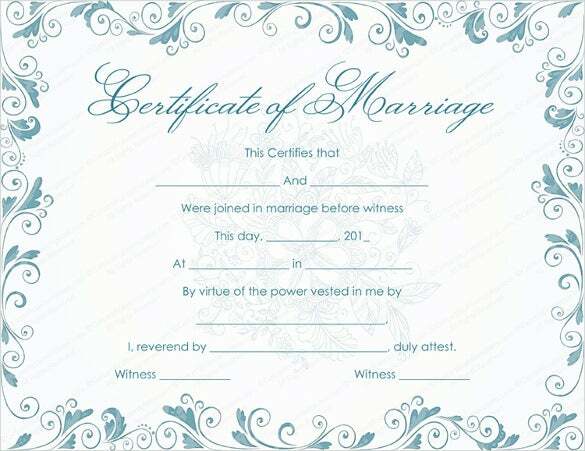 Needless to mention, years later it is always nice to revisit memory, looking at such fantastic wedding certificates. If you get in touch with a marriage registrar, he asks for a hefty professional fee. Instead, a smart approach is to download the wonderful templates available over the net. They are relatively cheap and a very nominal token money is charged against them. 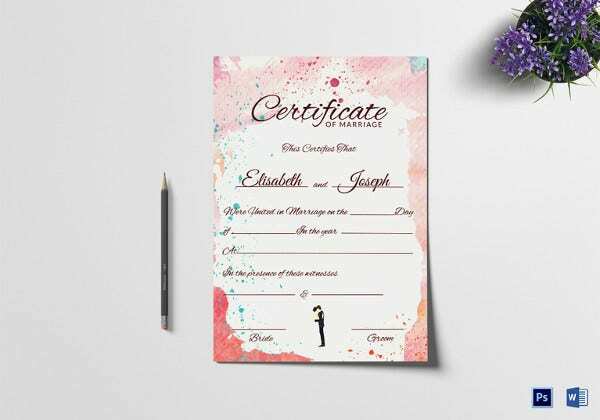 Glorify your special moment with these nice templates.